“I’ve been an athlete, I understand both the physical and mental aspects of recovery,” says Dr Peter. 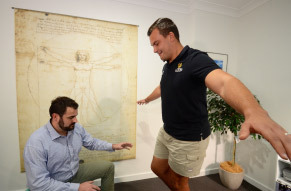 At Highlands Family Chiropractic we’re skilled in several different approaches to sports management and can apply whichever method best suits your case and your goals. We utilize these skills and approaches daily to help achievers just like you get back onto the field. Dr Peter has an experienced background working with athletes. Having played competitive rugby at a national level in the U.S, Peter knows first hand what it is like to overcome injury and to perform at your best ability. Whether it is rehabilitation, prehabilitation, diet, exercise or strengthening, Dr Peter is trained to help all sorts of athletes. Show up with your best self this year. Call our chiropractic clinic in Bowral to learn how we can help in your recovery and push your performance to the next level.